While she was visiting Sweden and Denmark earlier this year she learned new important facts about essential fatty acids that changed her entire approach to my concept of the raw food diet. 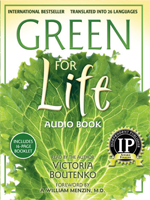 So, she's added it to the new edition of Green for Life. I encourage you to read this entire article. What is one of the most striking differences between a hummingbird and a hibernating bear? Their metabolism. One moves extremely fast and the other is extremely slow, largely due to differences in the composition of fat in their bodies. According to recent scientific research on factors affecting metabolism, "the fats of high-speed animals such as the hummingbird are loaded with the omega-3 fatty acids." Contrary to that, bears have to accumulate a lot of omega-6 fatty acids in their fat before they can go into hibernation. Omega-3s and omega-6s are seemingly alike substances and are even united under one name: essential polyunsaturated fatty acids. However, there are major differences between them. The omega-3 molecule is unique in its ability to rapidly change its shape. This exceptional flexibility of omega-3s is passed to organs that absorb it. Omega-3s thin the blood of humans and animals as well as the sap of plants. As a result of these qualities, omega-3s are utilized by the fastest functioning organs in the body. For example, omega-3s enable our hearts to beat properly, our blood to flow freely, our eyes to see, and our brains to make decisions faster and more clearly. The omega-6 fatty acids, on the other hand, serve the opposite function: they thicken the blood of humans and animals as well as the juices of plants. Omega-6s solidify and cause inflammation of the tissues. Some scientists link an excess of omega-6s in the human diet with such conditions as heart disease, stroke, arthritis, asthma, menstrual cramps, diabetes, headaches, and tumor metastases. According to Allport, there are numerous studies looking into the role omega-6 fats play in the promotion of certain cancers, including breast, prostate, and colon cancer and exploring the benefits of omega-3s in treating psychological disorders such as depression and postpartum depression, attention deficit disorder, and bipolar disorder. A growing number of diseases are being associated with an imbalance of the essential fats, not just heart disease, cancer, depression, immune disorders, and arthritis but also obesity and diabetes. For many decades, nutritionists have been linking obesity to the overconsumption of foods high in fat, particularly in saturated fat. 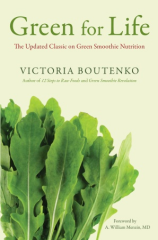 Since then, many people have been trying to reduce the percentage of fat in their diet. From 1955 to 1995 Americans reduced fat consumption from 40 percent of their total calorie intake to 35 percent. According to the United States Department of Agriculture (USDA), Americans decreased their consumption of saturated fats and increased their consumption of salad and cooking oils from 9.8 pounds per person in 1955 to 35.2 pounds per person in 2000. Yet despite these efforts, during the same time period the percentage of overweight adults in the U.S. grew from 25 percent to 47 percent. Apparently we have been eating the wrong fats. When I was a little girl in Russia in the early sixties, my mother would give me a glass bottle and send me to the store to buy vegetable oil. She told me to always ask what date the oil had been delivered before I purchased any. If the oil was more than a week old, I had to go to another store. That was how quickly the freshly pressed oil could become rancid. At home, we knew to never leave the oil in direct sunlight and to store it in a dark, cool place to help keep it fresh. You may purchase the Green for Life here.